Macadamia nuts are native to Australia. They are named for John Macadam, a Scottish born physician and chemist who promoted the nuts cultivation in Australia. 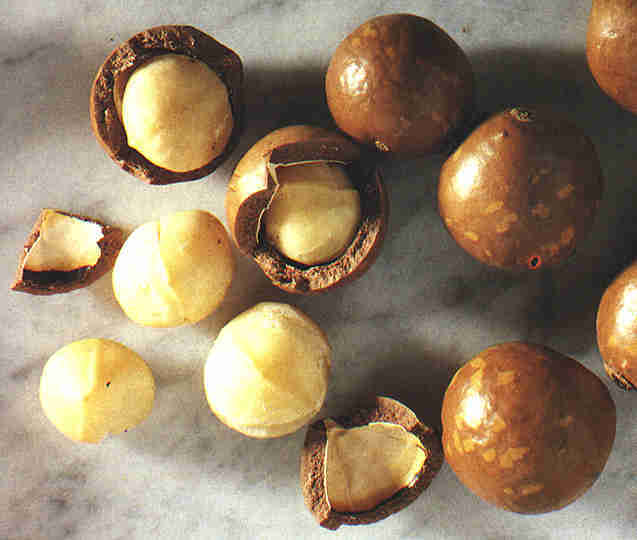 The Macadamia Nut is one of Australia’s few contributions to the world’s food plants, and this rich, buttery nut is considered by many to be the most delicious of all nuts. The Macadamia was introduced into Hawaii around 1881 and used as an ornamental. The first commercial orchards of macadamias in Hawaii were not planted until 1921. Most of the world’s macadamia nuts are grown on the island of Hawaii. Today Macadamias are cultivated in many areas, including Indonesia, Central America, South Africa, the West Indies, Mediterranean countries and California.